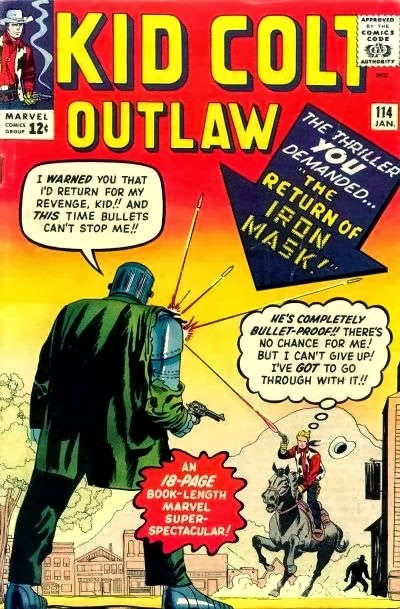 The second Marvel Western that went on sale in October 1963, like the first, had a Kirby cover. It was embellished by by Frank Giacoia. Unfortunately, also like the first, only the cover was by Kirby.